Activists in the Baltimore are hoping the city can go the entire weekend without a homicide. They are using the slogan "nobody kill anybody" to promote a 72-hour cease-fire on deadly violence. Baltimore is trying to give up murder for the weekend. With more than 200 killings already this year, city residents are stepping up to deal with a crisis that has led to a record number of homicides. They have called a 72-hour cease-fire which began Friday and runs through Sunday. 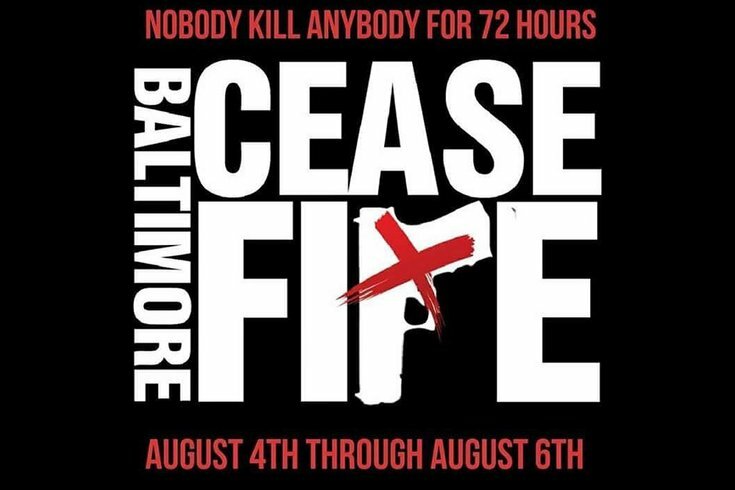 According to the folks behind the Ceasefire Baltimore Facebook page, "the goal is for everyone in the city to know that Baltimore is committing to no shootings, no stabbings, etc... no murders during the first weekend in August. WE CAN DO IT! Let's go!" The slogan "nobody kill anybody" has been printed on T-shirts and flyers are posted around the city. "I've seen the momentum build over the past several weeks," Baltimore police spokesman T.J. Smith told The Baltimore Sun. "We are all in this together, and we're 1,000 percent supportive of the efforts." The cease-fire has caused some skepticism, as similar efforts in the past have failed. "We understand that this is not what normal should be, and we deserve something better," organizer Erricka Bridgeford told The Sun. "Looking at each other and saying, 'We deserve peace, for three whole days' — that's powerful."